Here is a lovely bright coloured sunshine smoothie which is vegan, healthy, filling and can be had as a substitute for your regular breakfast. 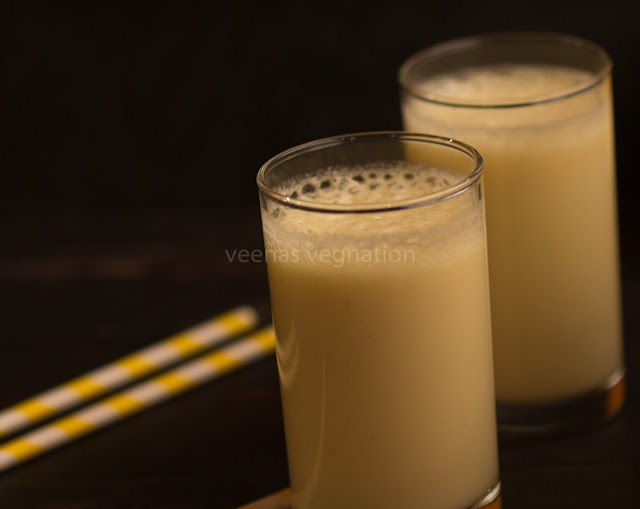 I am on paleo diet for a few days now and these smoothies are a perfect start for the day. 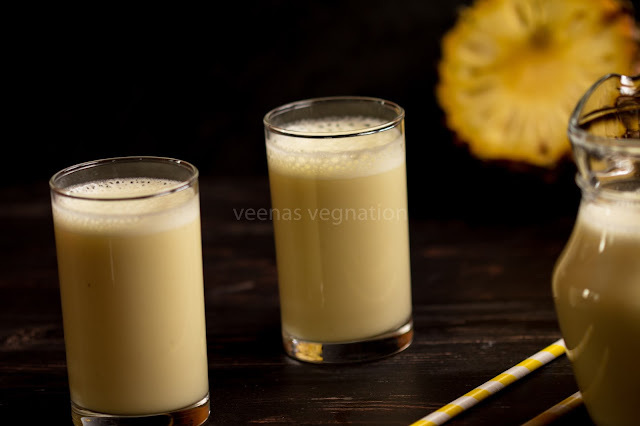 Since we use fresh fruits and fresh coconut milk, it is very refreshing. Try this out and you will love this delicious smoothie. 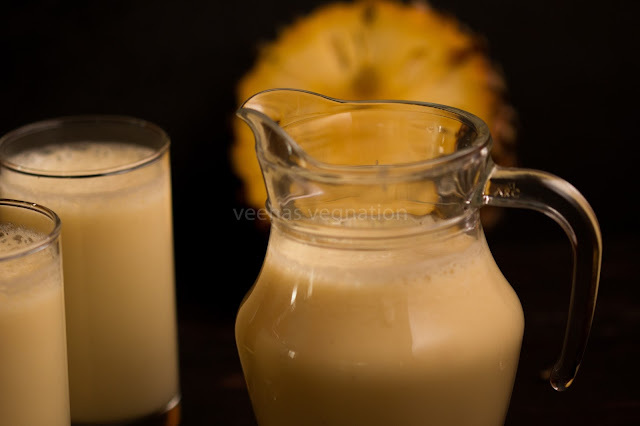 If you are unable to make fresh coconut milk, you can use the tinned milk which is easily available. Add I cup of water to 1 cup of fresh coconut and grind it. Strain and keep aside the milk. Add pineapple pieces and banana to the blender jar.